This is another tool to break pu-erh from a brick, cake, or tuo cha. Must be use with the Pu-Erh knife. 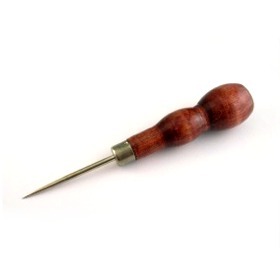 You can also use this as an ice pick. This is a great object for breaking apart tuos and other highly compressed puerh tea. I highly recommend it. This is a simple, well constructed tool that does its job. If you dont own one of these, get one.